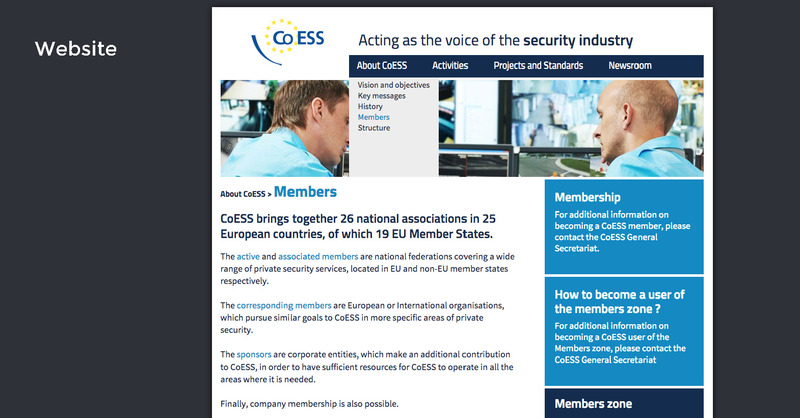 The Confederation of European Security Services (CoESS) committed us to develop and host their public site including an electronic newsletter and a member zone. 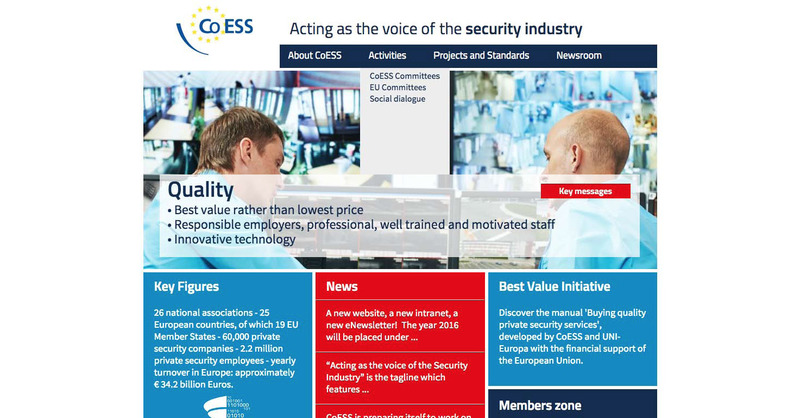 The site was tailor-made and fully managed by CoESS. 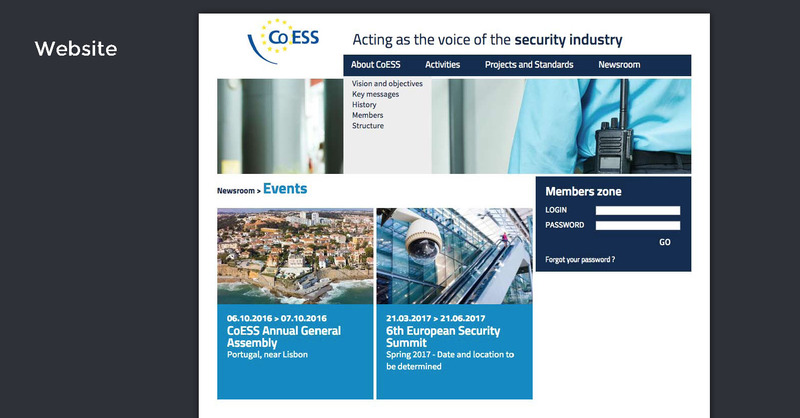 The search function allows a very easy and fast selection of documents in the member zone. 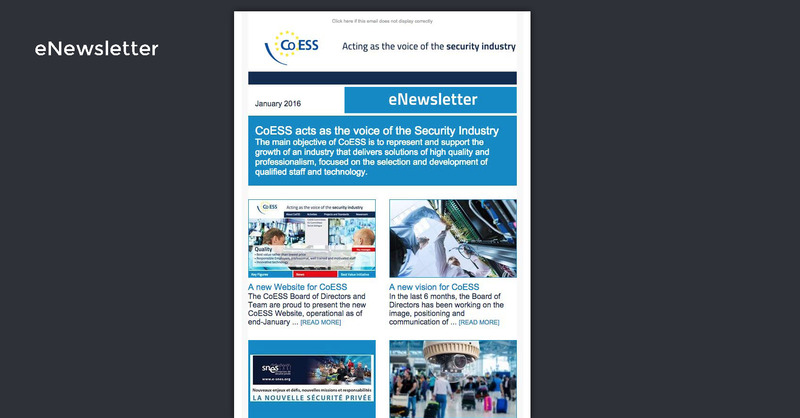 The eNewsletter is automatically created and ready-to-send whenever a new website article is published. The advantage of a tailor-made system is that the back-end is just what our client needs, nothing more, nothing less. So it does not require any special training: it is as easy to use as a simple text processor. Actually, it is even easier to use !